Changing the world for the better begins in your own backyard. That’s how Maree Roy, from South Wairarapa, approaches life. 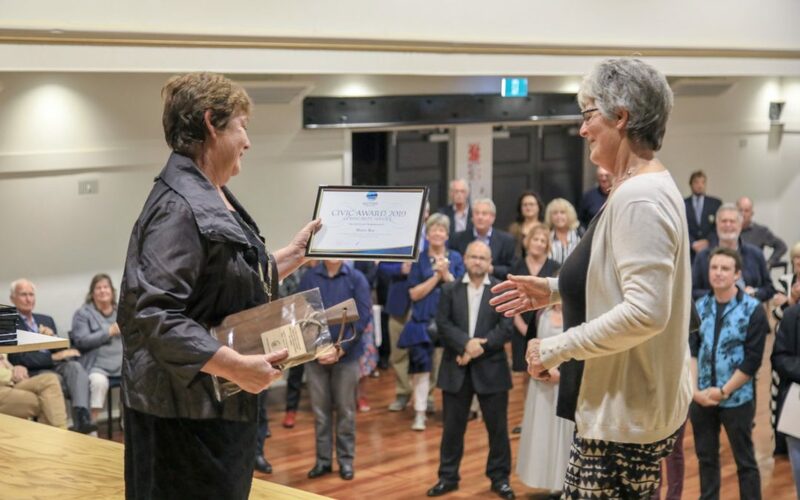 The long-time Martinborough resident, who will soon be waving the town goodbye, was recognised for her community spirit at the South Wairarapa District Council 2019 Civic Awards. 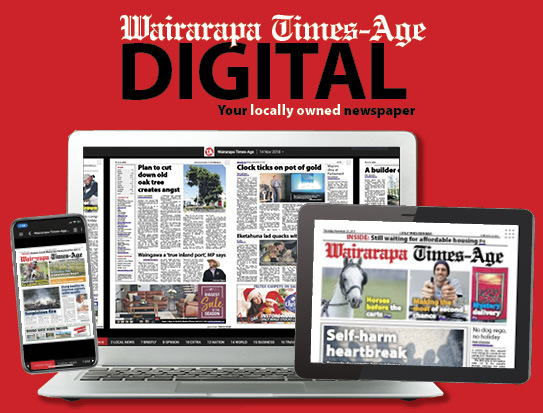 The awards, held last week in Martinborough, recognise individuals, groups and organisations that contribute significantly to the well-being of the community. Maree, considered the local expert on cats, took home the Community Service Award for an individual. She was nominated for the award by David Kershaw. In his nomination form he said Maree had been an active supporter of Martinborough for the 45 years she had lived there. David said Maree was probably responsible for collecting “a ton or two of litter” on her daily dog walks, contributing to Martinborough’s tidy appearance. Maree has been a teacher at a playcentre and of the piano, as well as having taught chemistry, science and maths at Kuranui College. 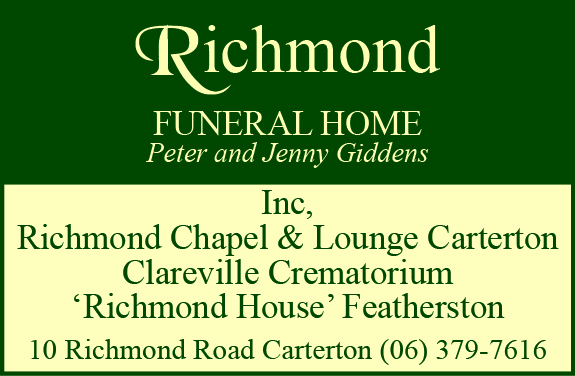 She was a councillor on the Martinborough Town Board in the late 1980s before the amalgamation into South Wairarapa District Council. She is on the Martinborough Community Board and is a past-president of the Martinborough branch of Red Cross, for which she still co-ordinates the meals on wheels service for Martinborough residents. David said Maree was “very approachable” and her “friendly manner” meant she was often called upon to help in the community. Maree is moving to Dunedin soon, and David said her “skill and support will be seriously missed”. Board chairwoman Lisa Cornelissen agrees. “Maree is just one of those people who quietly gets on and helps wherever she can, with no expectation or need for thanks or reward. Maree said she moved to Martinborough in the 1970s, after the death of her husband, and raised her daughter Melyssa there. She also got involved in local politics, advocated for gender equality, and promoted an environmentally-friendly way of life. “I have tried to initiate changes in my own space and exert an influence for good through the organisations I’ve been involved with. “Now my main projects are fighting climate change, eliminating rubbish, and making people aware of the global problems we are facing,” Maree said. Also awarded Community Service Awards were the Greytown Menz Shed and Featherston’s Own Charitable Trust. 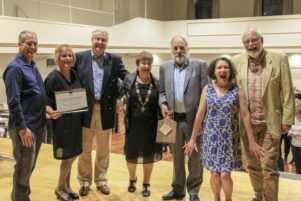 The Waiohine Action Group took away the overall Supreme Award for the South Wairarapa citizens of the year, as well as the Environment Award. The group worked hard to come up with a Waiohine River flood management plan that saved Carterton and Greytown ratepayers millions of dollars when compared with an initial proposal by Greater Wellington Regional Council. The Arts and Culture Award went to the Featherston Camp Sculpture Trust. The Arts and Culture Award went to the Featherston Camp Sculpture Trust, which is responsible for the $600,000 Paul Dibble sculpture, known as the Featherston Stand – He Tino Mamoa. The public artwork was installed on Fitzherbert St last year and commemorates the Featherston Military Training Camp, where over 60,000 soldiers trained during World War I. The Featherston Amateur Wrestling Club took away the Sports Award. And the Young Achiever Award went to Alexander J [AJ] Southey. “AJ is an extraordinary young man going places,” Greytown Community Board chairwoman Leigh Hay said.